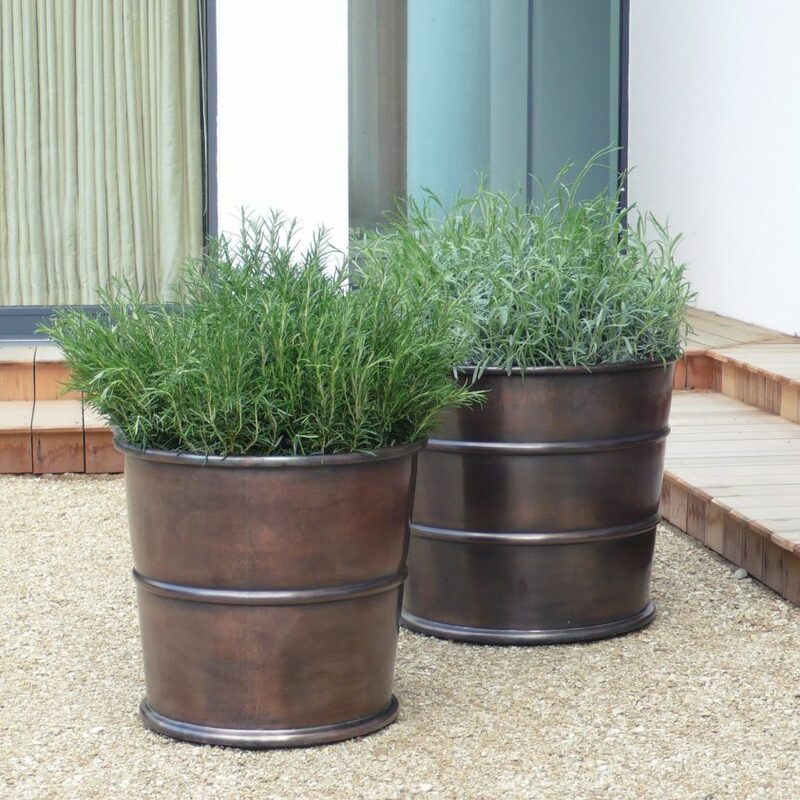 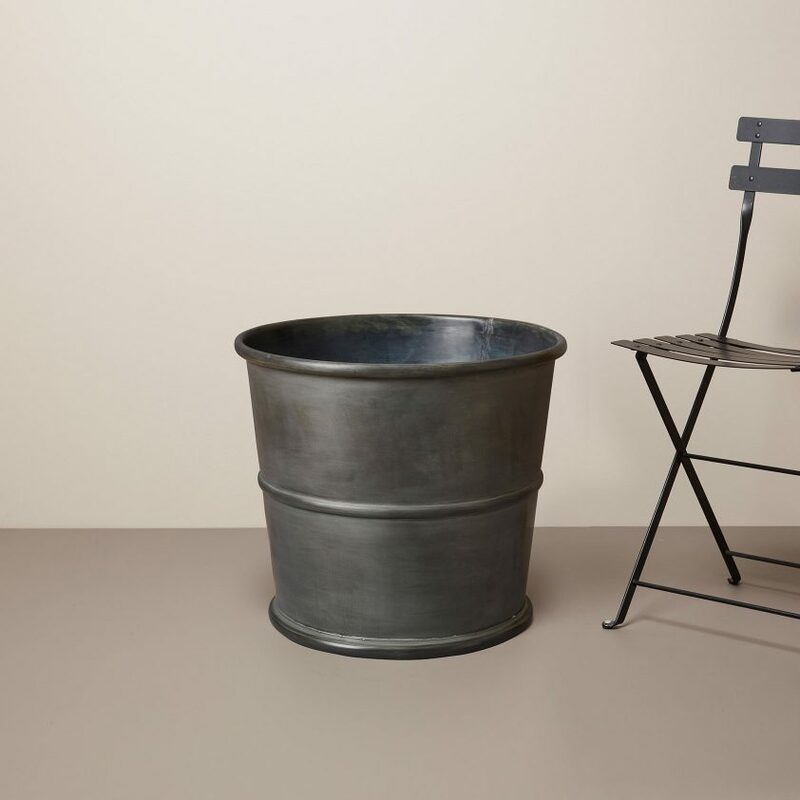 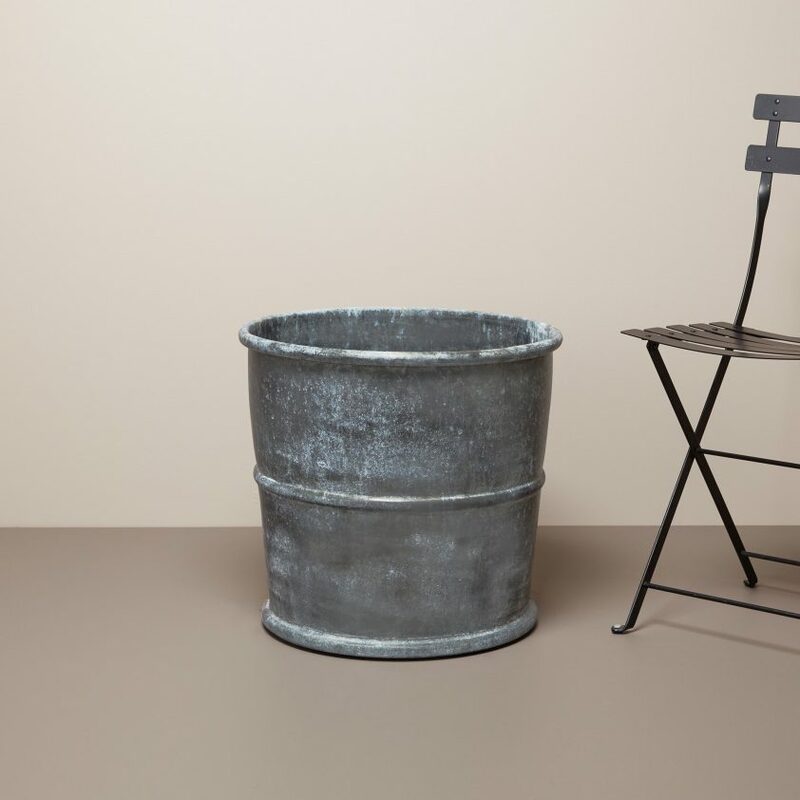 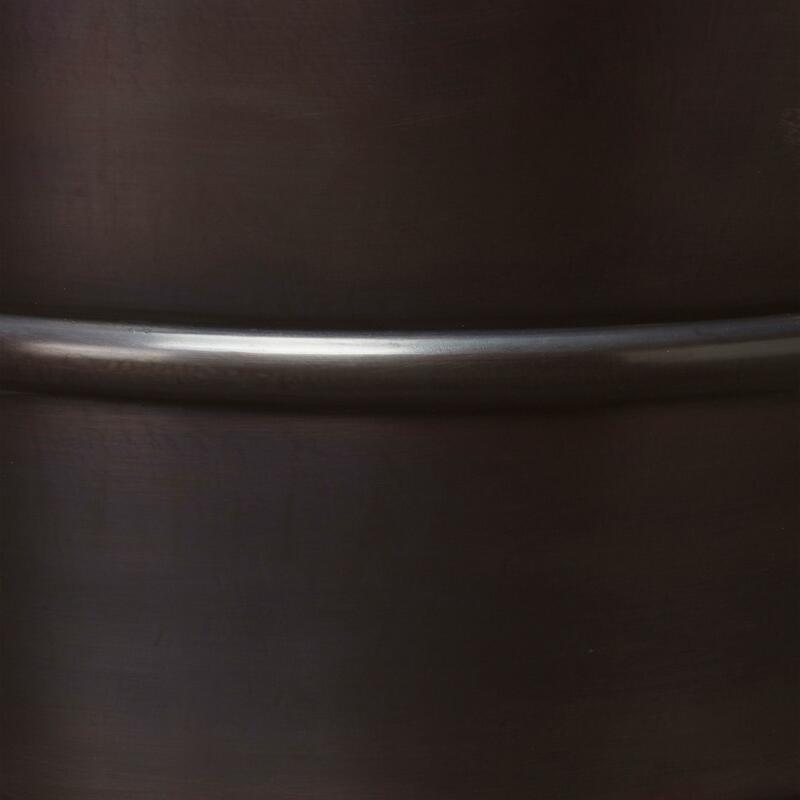 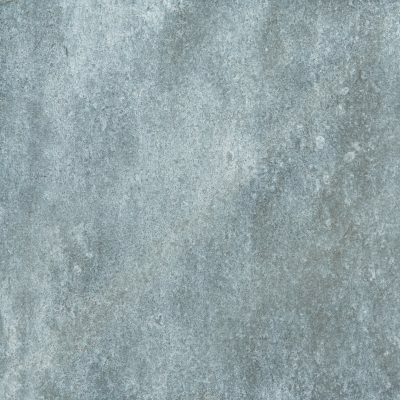 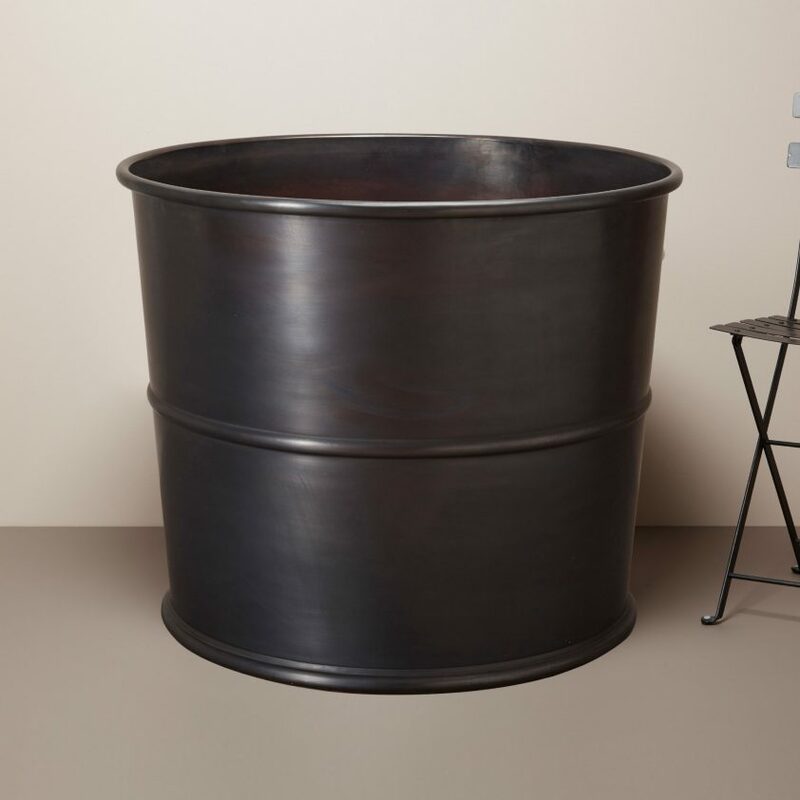 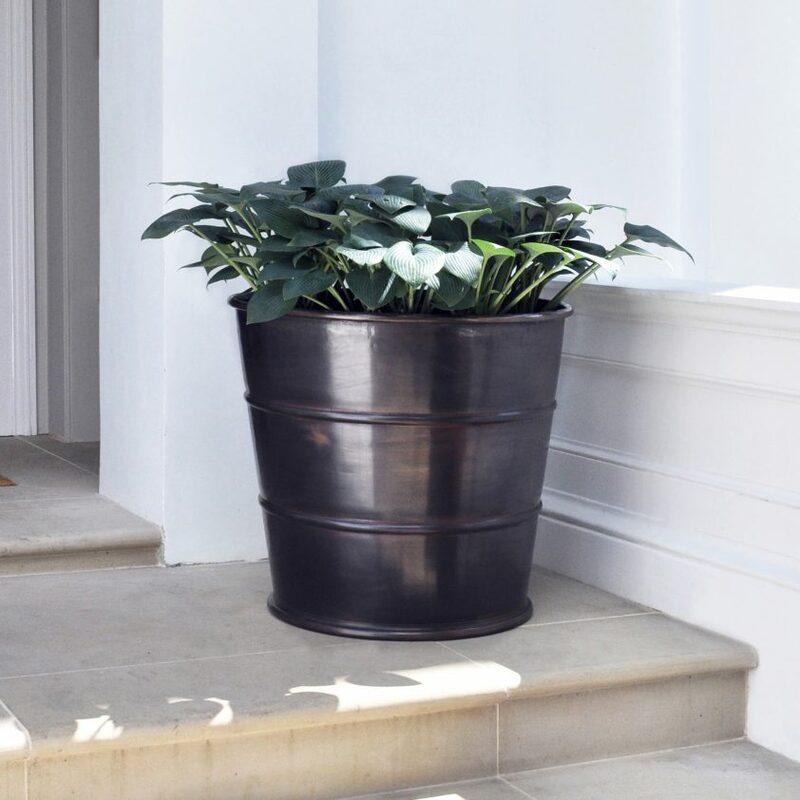 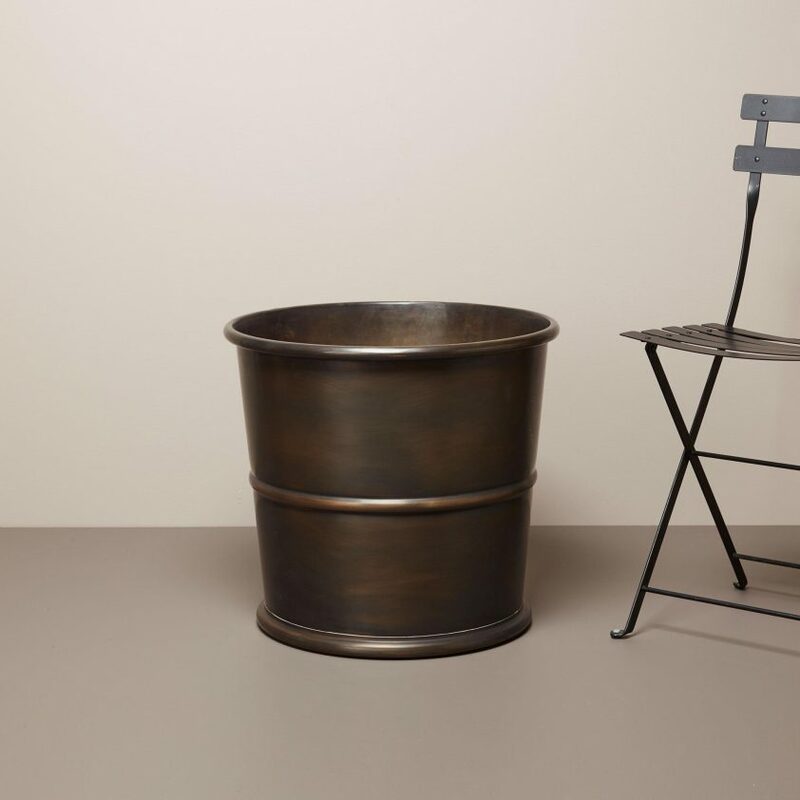 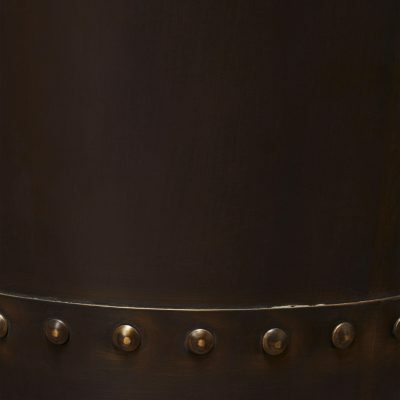 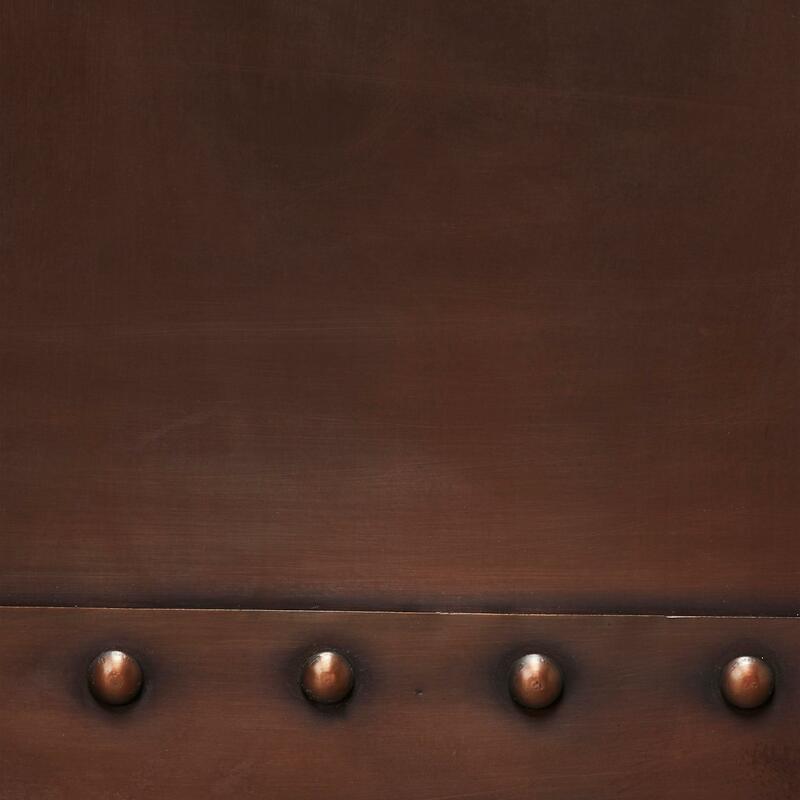 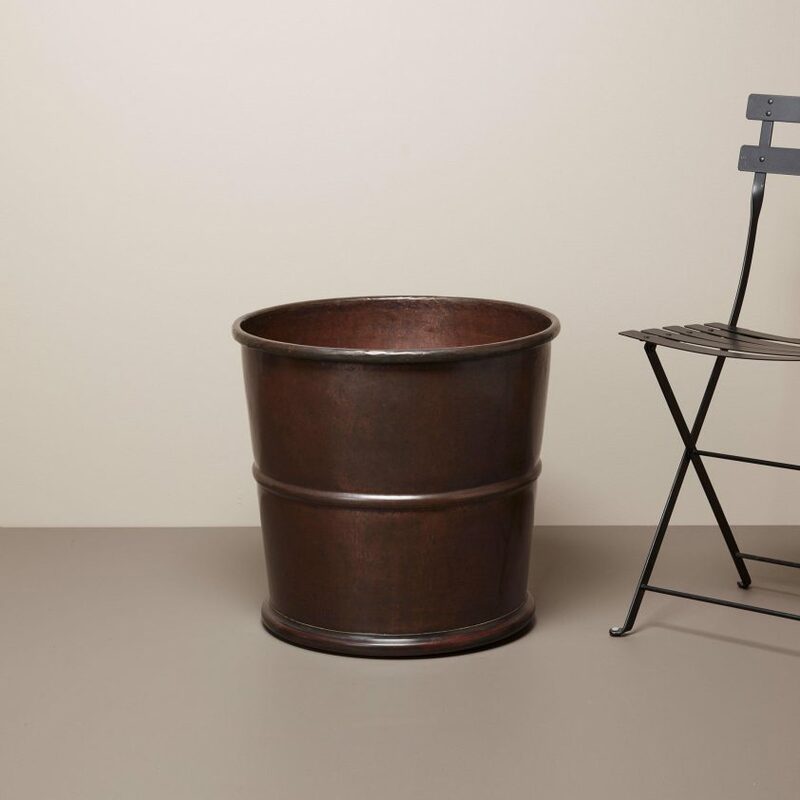 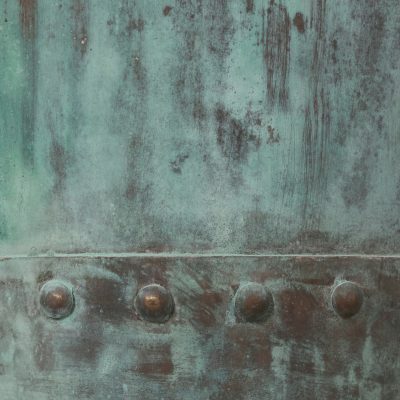 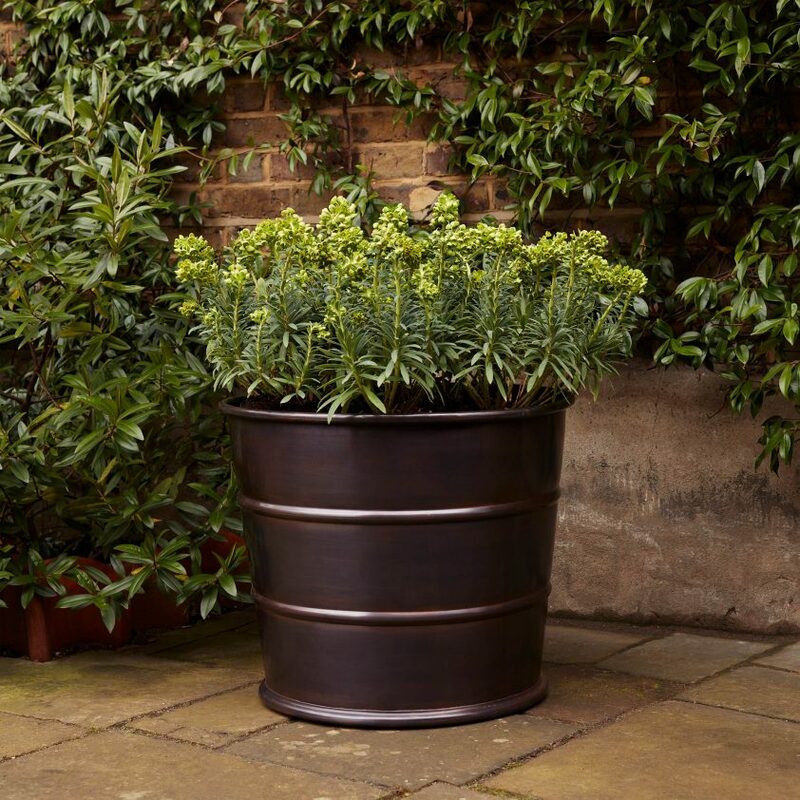 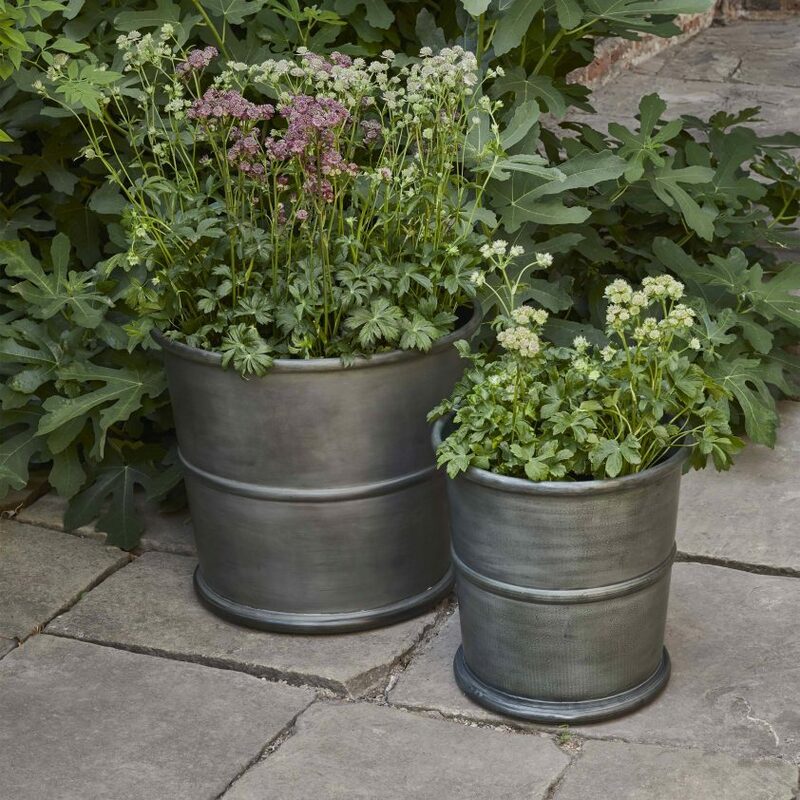 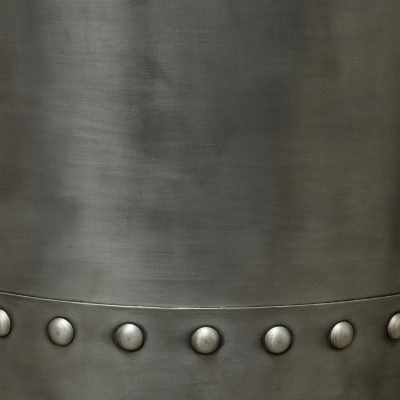 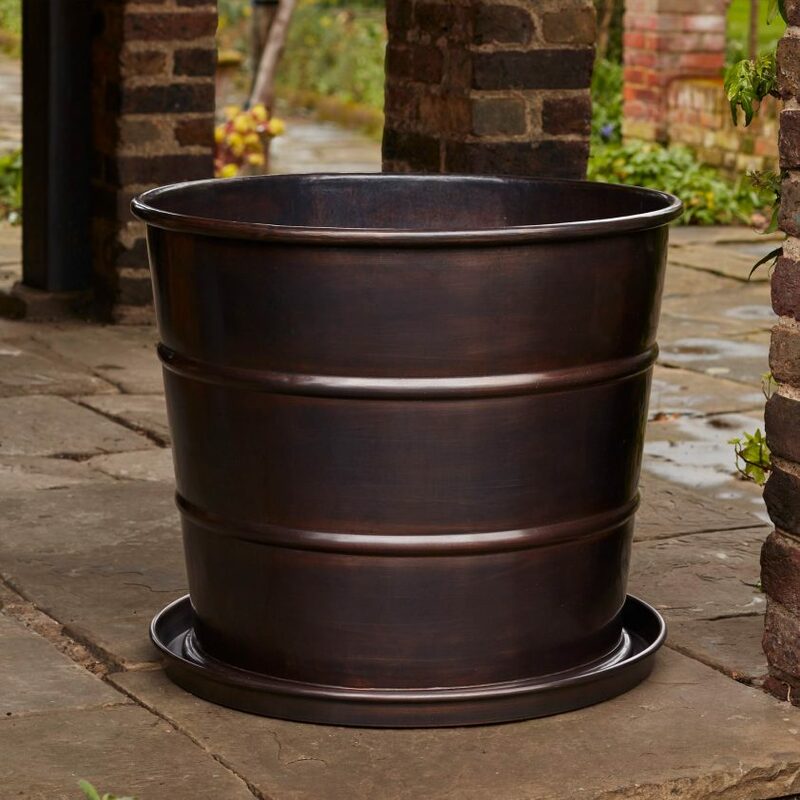 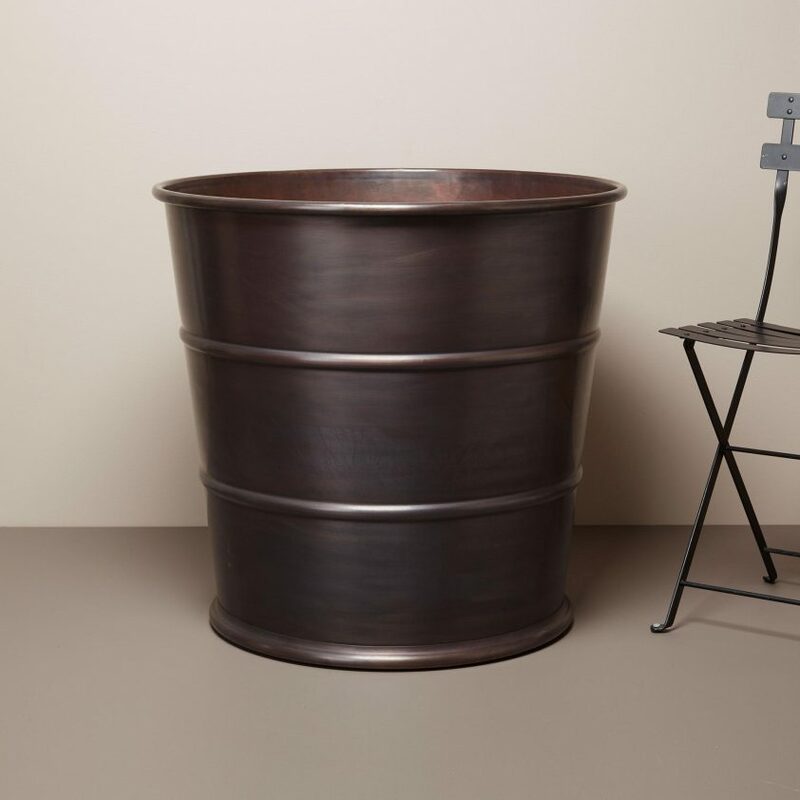 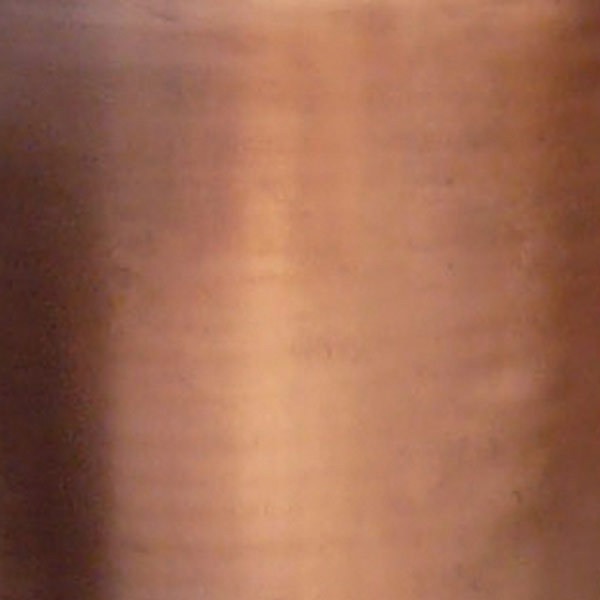 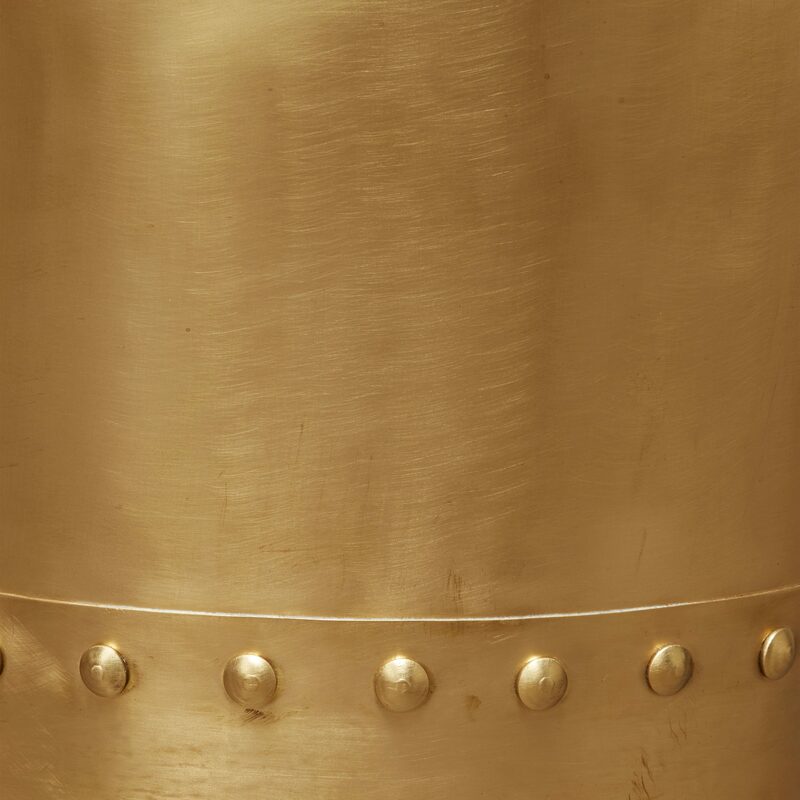 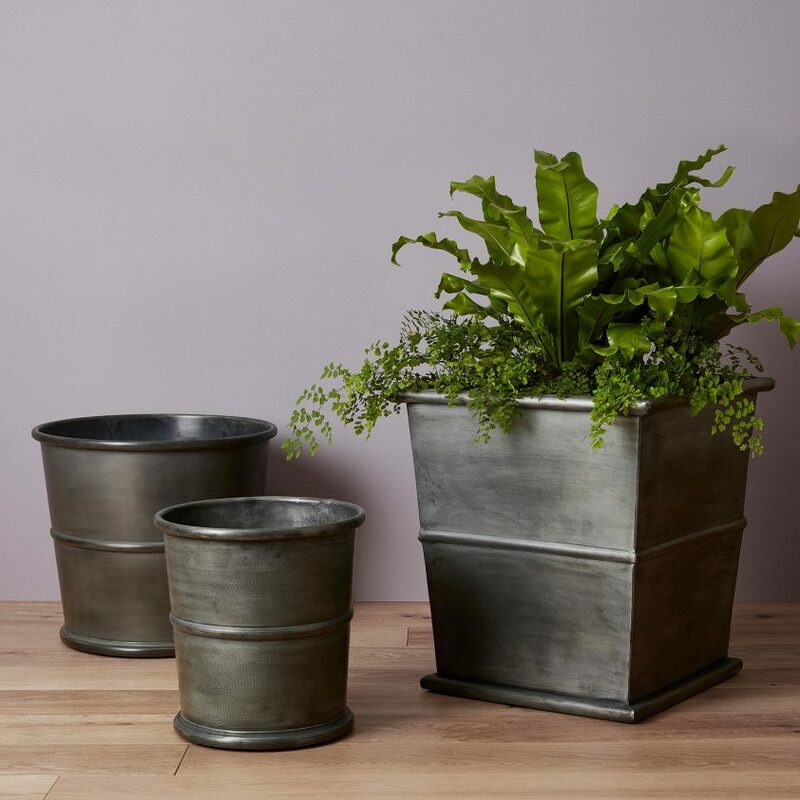 Our ribbed planters are pressed out from sheets of metal – the ribs give strength to the soft copper and zinc allowing it to contain the weight of soil and trees. 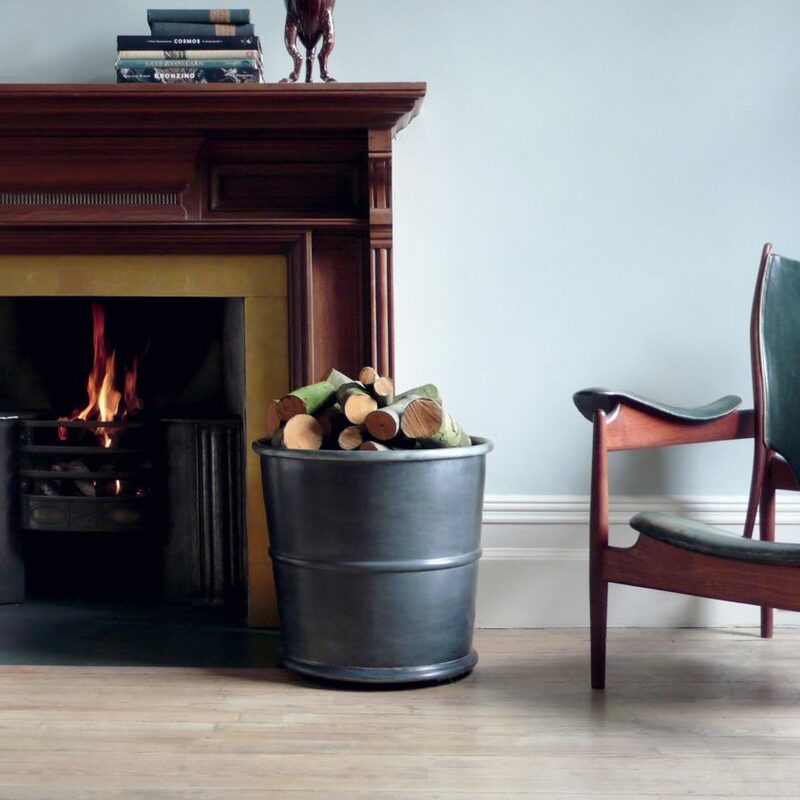 In the past round containers in Scotland were often simple wooden tubs or barrels known as coggies, caups, baikies and bickers – the staves held in place with bands of twisted tree roots. 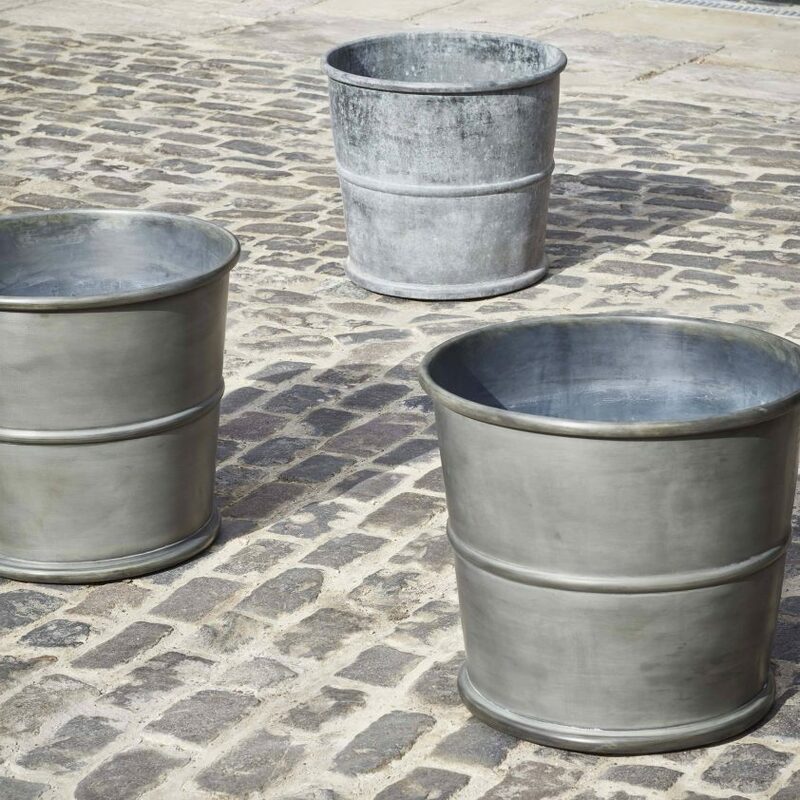 These early containers were often manufactured by travelling folk, camping in ancient woodlands and on river banks. 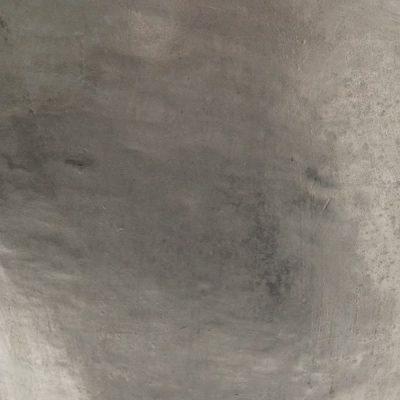 Only remnants of the historic Scottish forests remain, sometimes only by name. 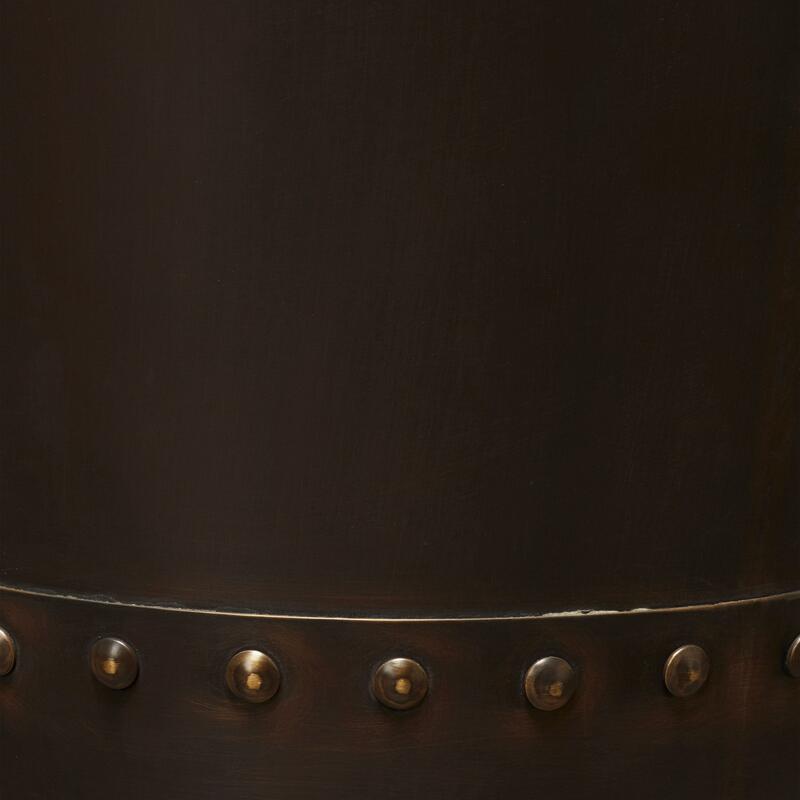 In the past their safe keeping was given to trusted families who manged them for generations. 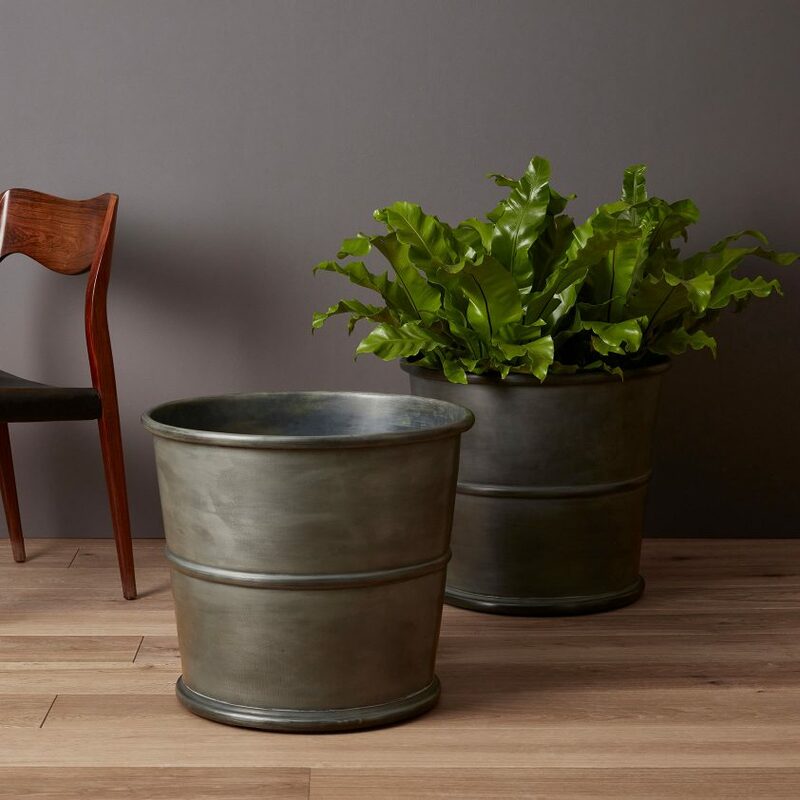 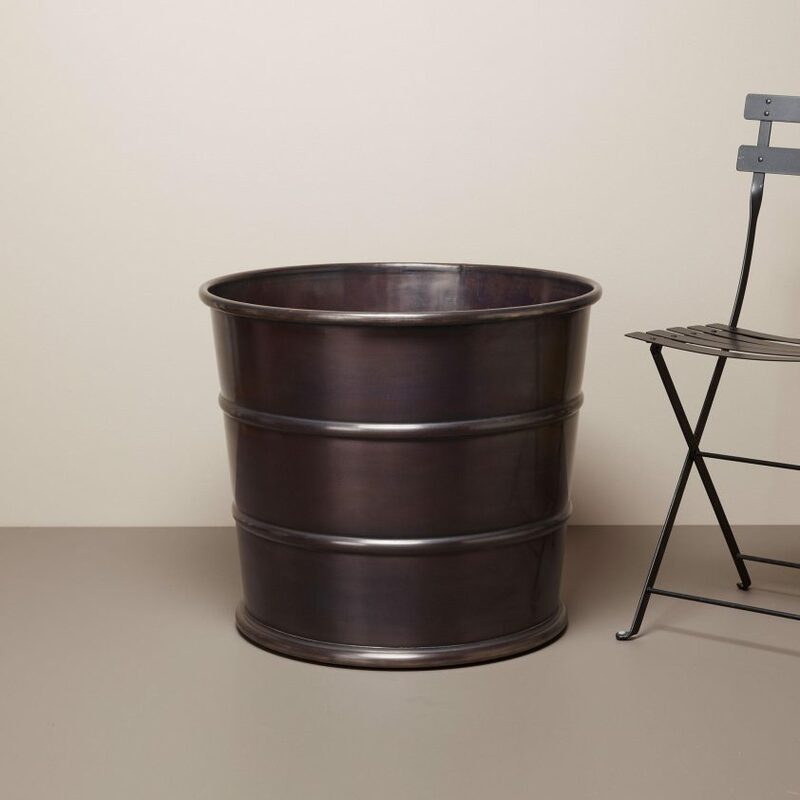 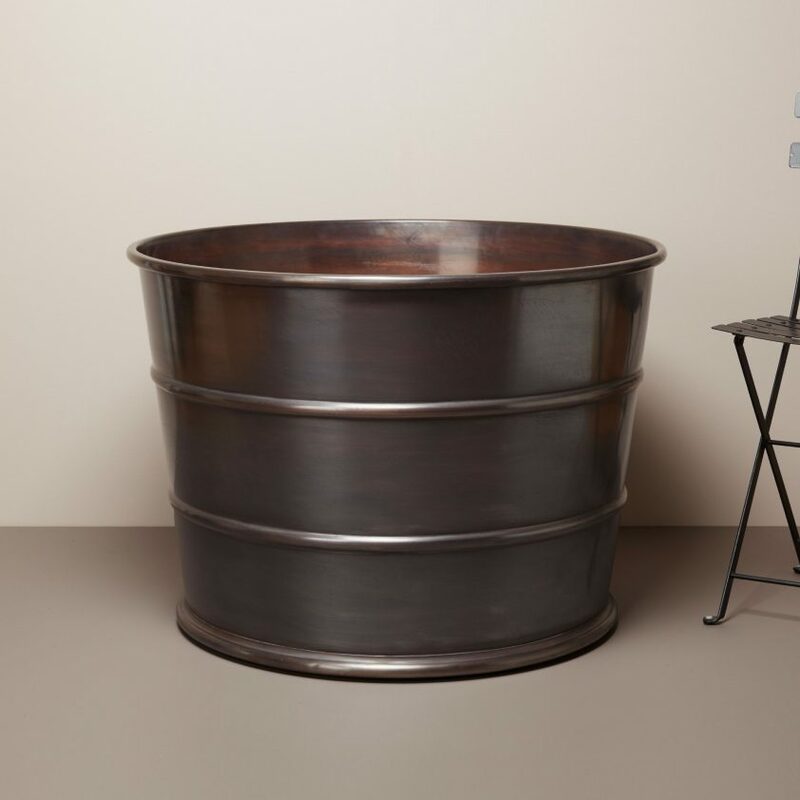 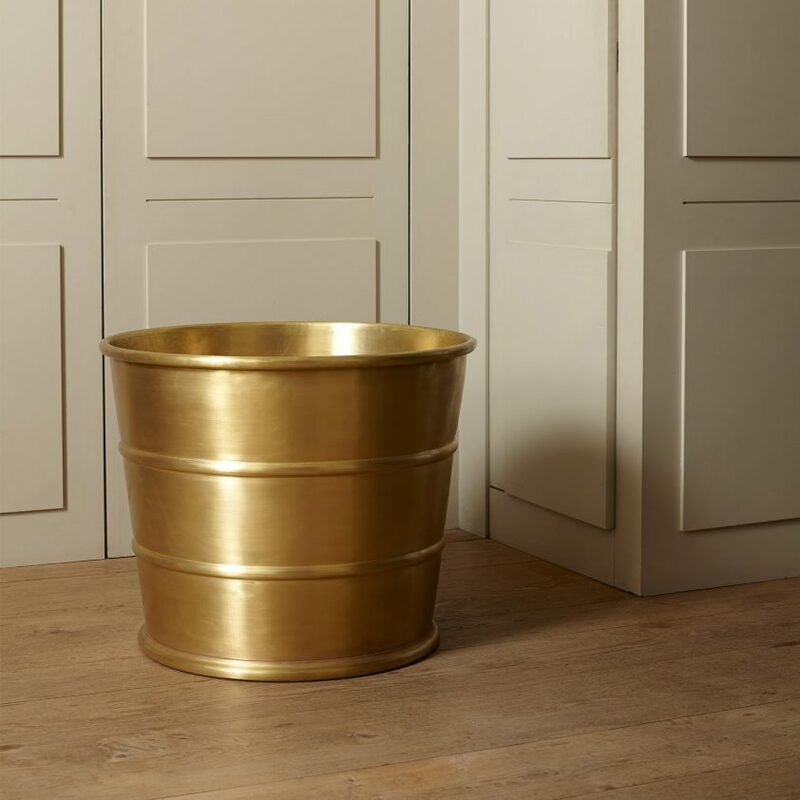 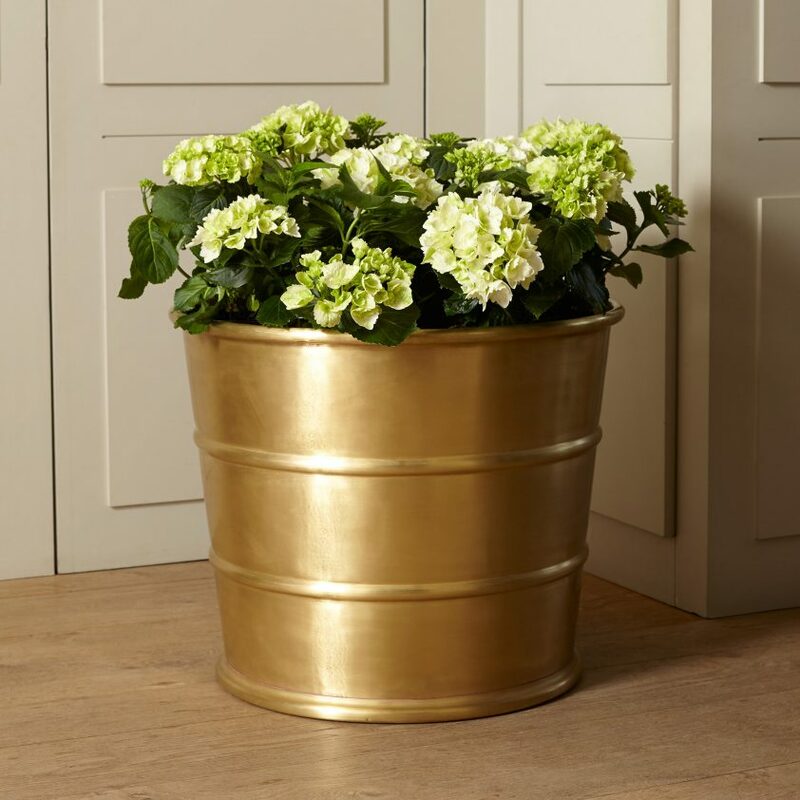 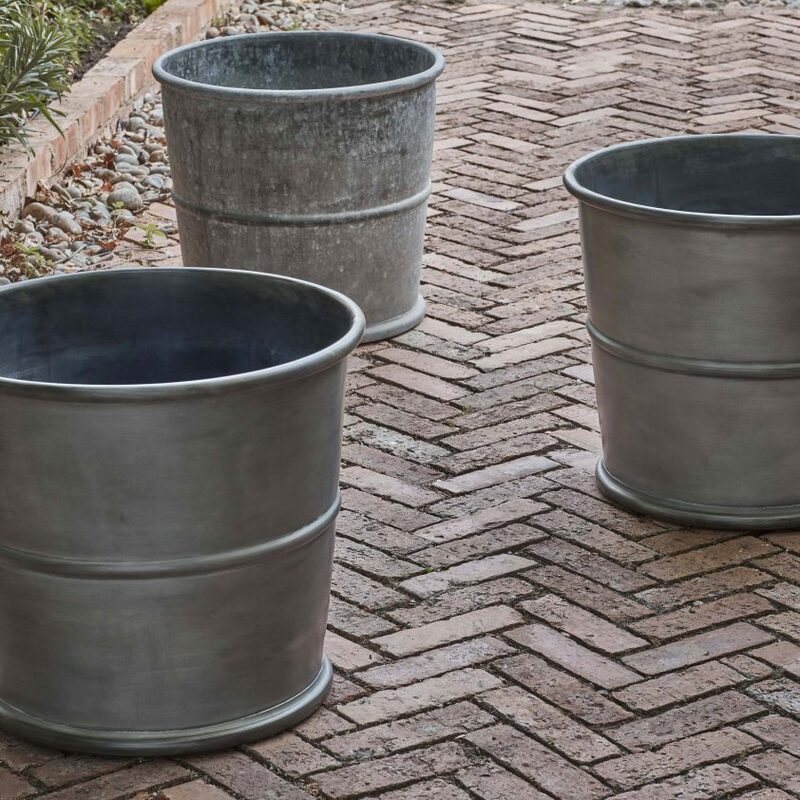 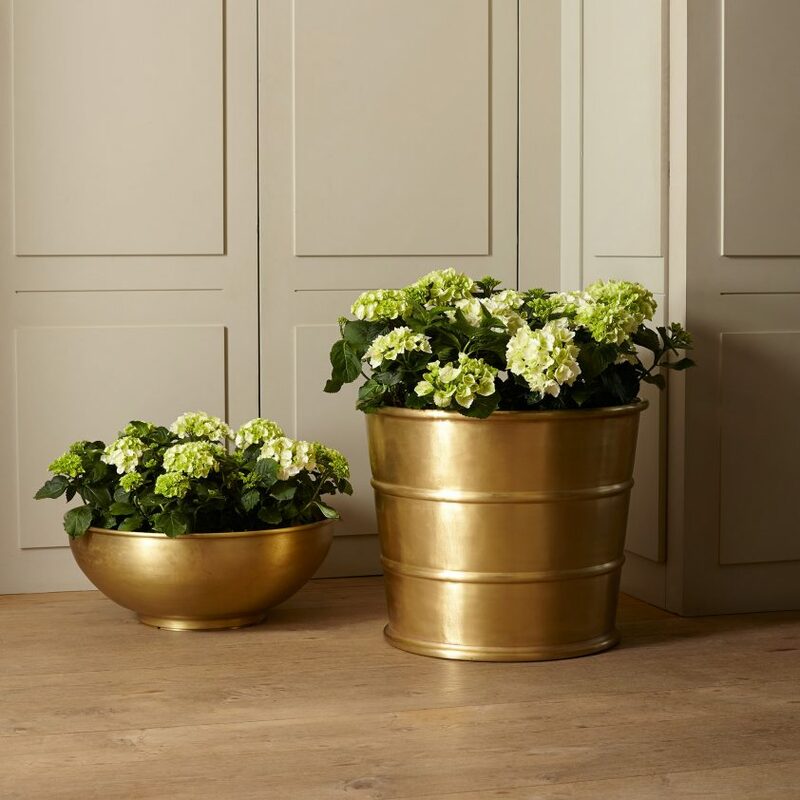 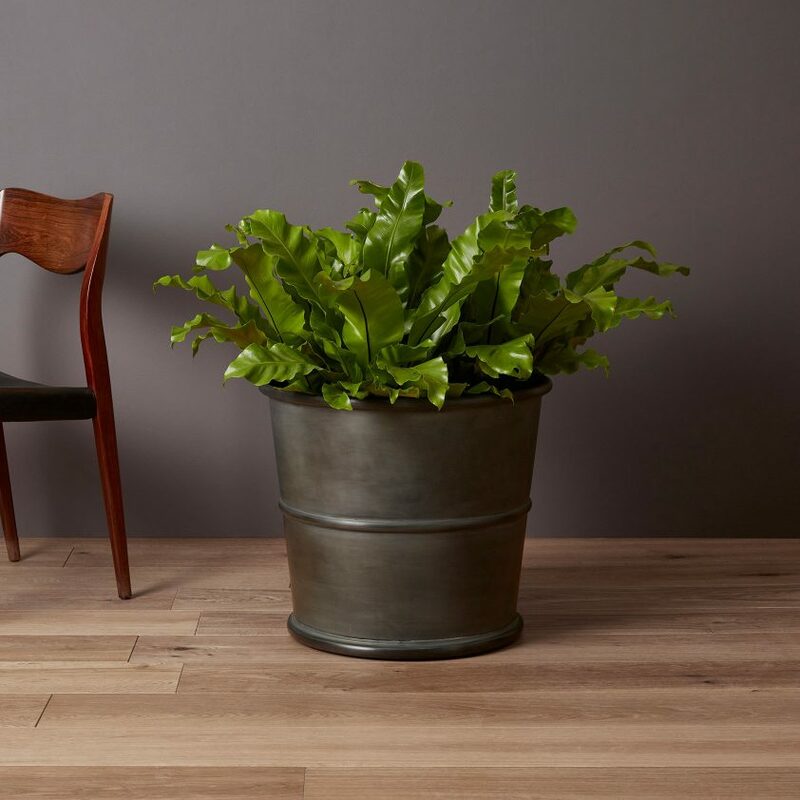 Our ribbed planters are named after these ancient forests of Mar, Elgin, Atholl, and Forres.